Our Lady of the Pearl is a Secular Franciscan Fraternity, meeting on the coast of Mississippi. It was canonically established on August 23, 2008, at St. Joseph Chapel, Pearlington, MS. 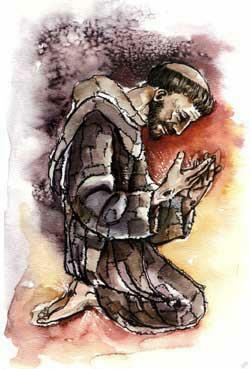 The primary focus of this website is on St. Francis, Franciscan spirituality and the Secular Franciscan Order. We are inclined to think that the Secular Franciscan Order is one of the best kept secrets in the Catholic Church. So often people ask us who are Secular Franciscans and what do they do. Many Catholics tell us that they have never heard of this Order in the Church. We seek here to provide information, to introduce our Order and ourselves and to invite you to Come and See. Begin exploring this website by clicking “Secular Franciscan Order” on the menu at the top left for introductory information about the Secular Franciscan Order, its origin, purpose and symbols, and the life of penance, going from Gospel to life and life to the Gospel. By ouidaofs in Uncategorized on February 1, 2016 .